The Scripps Ranch Little League Intermediate Division All-Star team closed out its part of the 2018 World Series with a 13-2 victory over the All-Star team from South Moravia Little League in Brno, Czech Republic, representing Europe-Africa on Thursday, Aug. 2 at Max Baer Park in Livermore, Calif., in game 18 of the Series tournament. Thursday’s game was played as a friendly contest as both teams had been knocked out of contention of the World Series championship contention earlier in the week. Scripps Ranch, representing the entire western United States, ended the 2018 post season with an incredible 18-2 record. 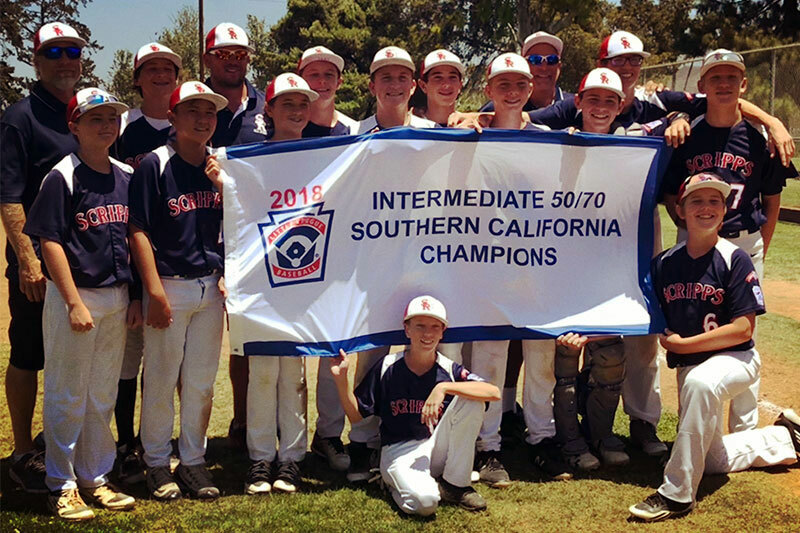 The Scripps Ranch players are now out of the tournament, but have the chance to stay for the weekend in Livermore to witness the final games in the Little League Intermediate Division World Series, with semifinals on Saturday and the championship on Sunday being televised on ESPN.